Footprints is a development team born in 2012 with a passion for story-driven videogames, and the goal of telling interesting interactive stories. We’re the founders of Footprints and writers of Detective Gallo – Francesco De Angelis (UI developer and script programmer) and Maurizio De Angelis (writer and illustrator). Footprints collaborators include Mauro Sorghienti (color supervisor) and Gennaro Nocerino (soundtrack composer). 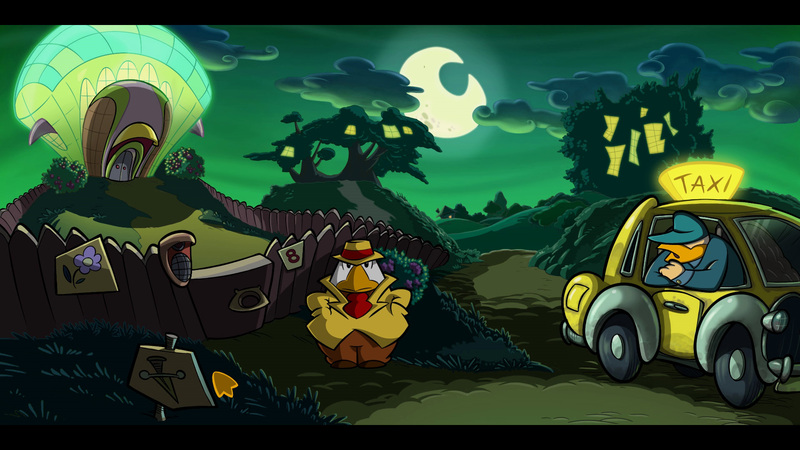 Detective Gallo is a comedy-noir adventure, featuring a hard-boiled story, offbeat humour, toon-style characters and hand-crafted animations. The protagonist himself represents the whole game pretty well: he’s a detective who tries to be cool and tough, but is actually clumsy and pretty hilarious most of the time. Playing the game, adventurers will gradually enter into Gallo’s mind, enjoying being a cynical and grumpy private investigator, interviewing bizarre suspects and finding weird clues. 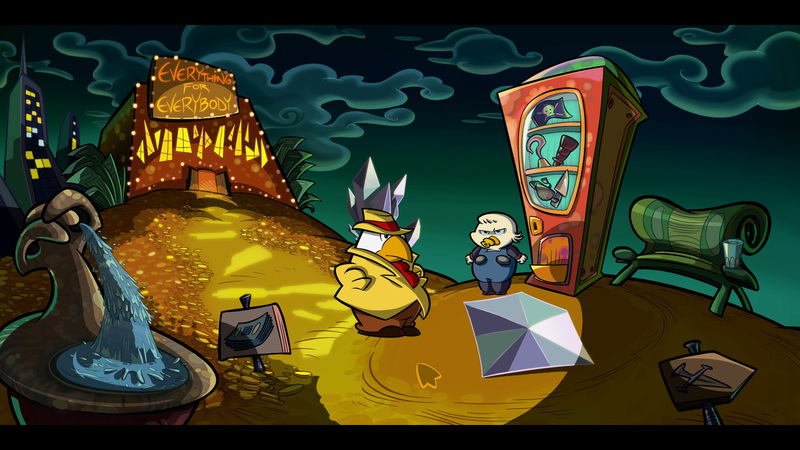 Detective videogames in terms of mood, LucasArts classic adventures in terms of gameplay and funny characters, Duck Tales in terms of graphic style. The key word we shared at the begin of the project was “fun” above all else, so our focus was to obtain that with humorous dialogue and bizarre situations that involve all the characters in the story. The Reticule – Pick one thing you are most proud of about the game and tell us why? The protagonist’s assistant is a small and portable cactus named Thorn. We think he sums up the game well: bizarre comedy in a noir story. Gallo speaks to his assistant every time he needs to think about the case. But Thorn doesn’t reply, obviously. This shows off one of Gallo’s main traits, which is craziness and toughness at the same time. 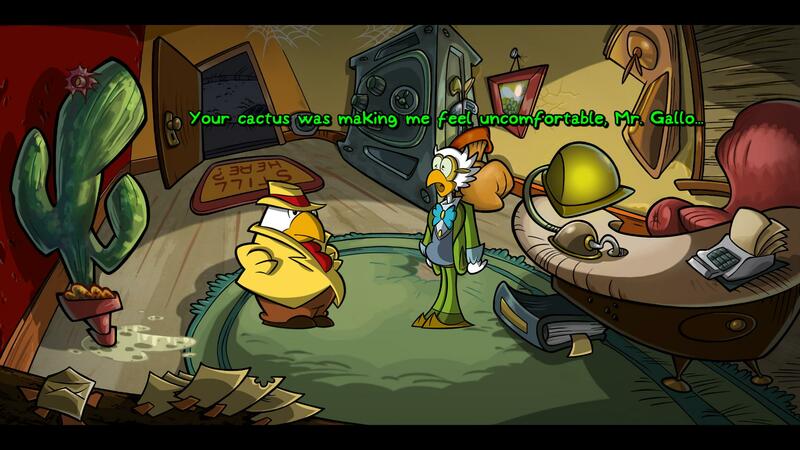 Adventure games have been living a new golden age for a few years. We are excited to launch our project (and our future ones!) in a period so full of interesting games, specially in the indie world, which is growing very quickly in terms of creativity and overall quality.